Discover Wisconsin with Moon Travel Guides! From lush forests and fertile farms to rushing rivers and tranquil lakes, experience Wisconsin's classic Midwestern charm with Moon Wisconsin. The best road trips in Wisconsin, including the state's designated "Rustic Roads"
With Moon's expert advice, diverse activities, and local insight into the best of Wisconsin, you can plan your trip your way. Can't get enough of Wisconsin? Try Moon Wisconsin's Door County. For more Midwestern adventures, try Moon Minneapolis & St. Paul or Moon Michigan. Thomas Huhti is a native Cheesehead who wound up studying in China during university (wanderlust has been a familial curse) which ultimately led to a five-year stint traveling the globe and living out of a backpack. A fortuitous meeting with a travel writer on a Chinese mountain opened his eyes to the possibilities of combining travel and writing, his two loves, as a career. Half a decade of wandering the world made him long for his birthplace, about which he realized he knew precious little. Thomas's four-year pilgrimage around the state to research the first edition of Moon Wisconsin was a gift for his parents, worthy Badgers both. Ultimately, he discovered he bled Badger red and understood where "home" really was. Now it's a lifelong labor of love (at least outside of deadline crunch times). 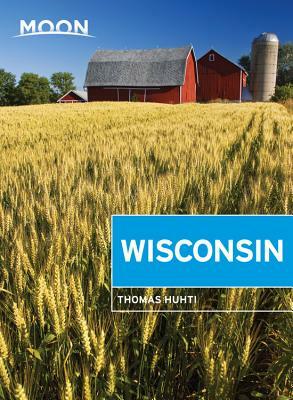 With the tent drying in the back of the car and a Brewers game on the radio, Thomas can be found wandering Wisconsin's highways, searching for the next hidden spot to uncover.